Kulp Roofing & Construction, Inc. Comment: 5 exterior vinyl vent caps need replaced. Most are located above the garage roof and rather difficult to get to. Comment: Home is 90% stucco, with remaining 10% wood. Wood is damaged and needs to be replaced. Comment: Take three windows out board up where two windows were and reduce size of another then match siding on side of building. Coopersburg Siding Contractors are rated 4.77 out of 5 based on 487 reviews of 19 pros. 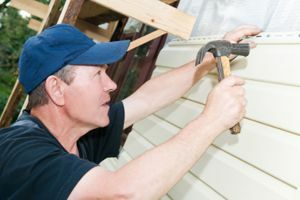 Not Looking for Siding Contractors in Coopersburg, PA?